President Barack Obama recently announced his intent to appoint Emory University Robert W. Woodruff Professor of Nursing Deborah Watkins Bruner as one of five new members of the National Cancer Advisory Board (NCAB). "I am honored that these talented individuals have decided to serve our country. They bring their years of experience and expertise to this Administration, and I look forward to working with them," said President Obama in a White House press release. The NCAB and the President’s Cancer Panel are the only advisory bodies at either the National Institutes of Health or the Department of Health and Human Services whose members are appointed by the President. The primary task of the NCAB is to advise the Secretary of Health and Human Services, the Director of the National Cancer Institute (NCI), and ultimately the President of the United States on a range of issues affecting the nation’s cancer program and, specifically, NCI operations. The NCAB reviews and recommends grants and cooperative agreements following technical and scientific peer review. "We are extremely proud of Dr. Bruner for her appointment to this presidential advisory board," says Linda McCauley, PhD, RN, FAAN, dean of the Nell Hodgson Woodruff School of Nursing. "Dr. Bruner is one of the nation’s preeminent oncology researchers and we know she will play an important role in helping our nation advance cancer research and improve the quality of life of Americans with cancer." Bruner is also associate director of cancer outcomes research at Winship Cancer Institute of Emory University and professor of radiation oncology at Emory University School of Medicine. She is internationally recognized for her trailblazing leadership within the NCI-cancer clinical trials research network for scientifically measuring the cancer patient experience and incorporating that experience into improvements in care. "Dr. Bruner's contributions to Winship and to NRG Oncology have defined new methods of evaluating cancer clinical trials and patient outcomes," says Walter J. Curran, Jr., MD, executive director of Winship Cancer Institute. "We are delighted that President Obama has recognized her abilities and the contributions she will make to the NCAB. The NCAB has significant influence in guiding the nation's strategies against cancer, and Dr. Bruner will be an invaluable advisor to the President and other national leaders on our research policies." 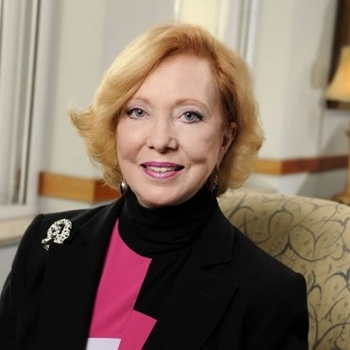 Bruner is best known for her pioneering leadership within the National Cancer Institute (NCI) supported NRG Oncology (formerly Radiation Therapy Oncology Group - RTOG). She is the first and only nurse to lead one of NCI’s national clinical community oncology programs (CCOP) research bases and is NRG’s Vice Chair for Outcomes. Bruner is a member of the NCI Clinical Trials Advisory Committee (CTAC) which helps set the national cancer clinical trials research agenda and co-chairs NCI's Symptoms Management Steering Committee. Bruner is a fellow of the American Academy of Nursing. In 2015, she received the Distinguished Nurse Researcher Award from the Oncology Nursing Society. Bruner received her bachelor's degree in nursing from West Chester University. She earned her master's degrees in nursing oncology and administration from Widener University and a doctoral degree in nursing from the University of Pennsylvania.